11.9.2011 - Phil Budlong, a volunteer with the Audubon Society of Rhode Island's Kimball Wildlife Refuge, lead a group of avid of bird watchers on their weekly walk this week at the Ninigret Conservation Area at East Beach. 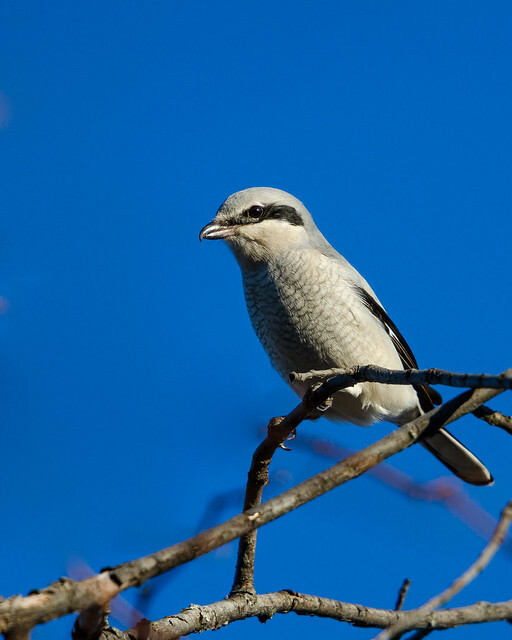 They were on the hunt for the rare northern shrike, which had been seen earlier in the week. 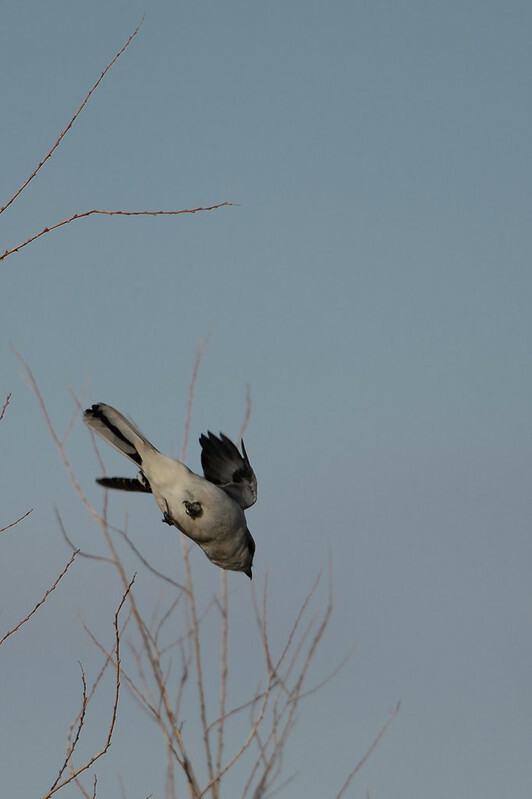 Instead they saw many yellow-rumped warbler. 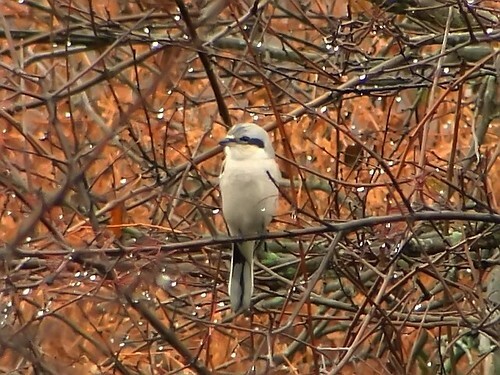 La pie grièche ibérique est en fait une pie grièche grise méridionale. 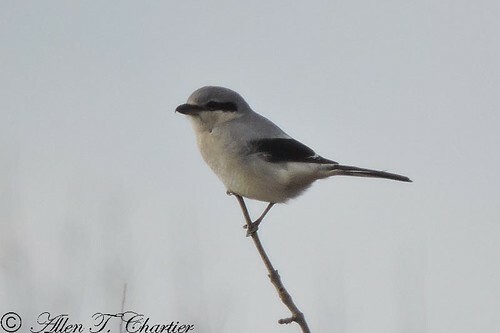 I digiscoped this Northern Shrike with my wife Chrissy McClarren (who spotted it) on 3/10/12 thanks to a call from Connie Alwood informing us that Chris Kirmaier had refound it. (And thanks to Shawn Clubb for discovering it in the first place.) We'd never been to this park in Missouri before. Cool! 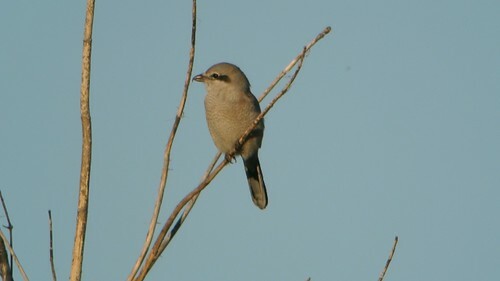 Meadowlarks, Mockingbirds, Bluebirds and Barred Owls abounded. It was fun helping another couple that birded together, Valerie and Phil Ross, find what turned out to be a lifer for them. And it was most fun sharing the experience with the company of Jim Malone.